Auto Shipping is a perfectly safe way to ship a vehicle to a faraway city or state. There is no better option when you need to move your vehicle for a long distance. It is much safer than driving to a faraway location and usually more affordable as well. Because of the price, many people use Open Auto Shipping. It is more available and overall popular. You can see open trailers filled with cars on the highways every now and then. But with this method, you have to remember your vehicle is exposed to weather conditions. Your car will also get some road dust and dirt. It’s like what it would be in normal driving conditions. It’s a great way to ship your car but sometimes it is not enough. Some cars need to be treated in a special way. Sometimes you just can’t stand the thought of dirt and flies appearing on your vehicle. You need the best kind of protection for your car. And there is another great option for this case. It is Enclosed Auto Shipping. Seattle Car Shipping is your national provider of Seattle Auto Shipping services. 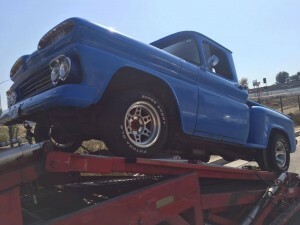 Whatever kind of Seattle Car Transport you need, we can do it for you! Our Car Haulers provide both Open and Enclosed Seattle Auto Transport. We can even help you even if you don’t have time to wait for pick-up and you need it as soon as possible. For this kind of situations, we offer Seattle Expedited Auto Shipping. It is pricier than regular Seattle Car Transport but this way you can be sure you will get the fastest pick-up. And that is the only way to get your vehicle delivered faster. We also do Seattle Auto Transport for auctions and dealerships. No matter if you are a dealer or a buyer, we will make Seattle Auto Shipping happen! Call Seattle Car Shipping and get the best kind of service!